The Austrian subsidiary of the German telecommunication group registered a decrease in EBITDA by 10.6%. Sales were down by 6.0%. 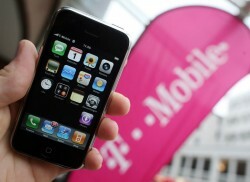 Today, Deutsche Telekom announced its results for 2011. Despite a substantial customer growth by 7.5%, results at the subsidiary, T-Mobile Austria, decreased. Austria´s second-largest telecommunication operator registered a decline in EBITDA from € 283m to € 253m, which is a reduction by 10.6%. Sales went down by € 983m to € 924m (-6.0%).